For the last ten years, each time one of my six sisters hits the big 5-0 birthday, I've made them a quilt. When I think back over these quilts, they have certainly evolved - my skill has greatly improved and my designs have shifted to be more modern. I wanted the quilt for this particular sister to be very special. She is already special just being who she is but she has also done an awful lot to help out my dad as he is going through some serious health issues. She didn't know I was making her a quilt. When I asked her what her favorite color was (Navy), she likely thought I was making her yet another zipped bag. With her favorite color in mind, a stack of Alison Glass prints and a consultation with another sister, I decided to go with my variation of Fish in the Sea by Rebecca Severt. I drew up my own version to have 50 geese with the intent that the straight line quilting run diagonal in the background color stopping and starting at the edge of the geese. Then within the geese themselves, I machine quilted about 1/4'' from edge using matching thread. The result was just as I had hoped although there were many, many threads to bury! To add a bit of fun and interest, I hand quilted around some of the geese and added some lines of hand quilting across the quilt. The quilt is throw sized. I used a Moda wide back for the back of the quilt. It is a dark sky blue with darker large dots. Turns out Navy is REALLY hard to photograph true to color. (Or perhaps it is that I am not a good enough photographer.) The very first photo in this post is the closest representation of what the color looks like. And, for the record, this is actually Painter's Palette Midnight Blue. It seemed to me like a prettier shade than the color actually called Navy! We've a family friend in her twenties who loves her Converse. She'll be visiting us next month and I wanted to make her something special. This young lady is in a wheelchair so I've sized the quilt so that she can tuck it around her while in the chair. I plan to put flannel on the back to make it extra cozy. I love paper piecing and really had to force myself to stop making blocks once I had 6 of them. I kept finding fabric in my stash thinking that it would make such a great color for a sneaker. The Converse block pattern is from Kristy @ Quiet Play. Have you heard about the 100 Day Project? While it officially kicked off on April 2, you can certainly start your own 100 days of creativity anytime you want. I decided to hand piece every day starting with these drunkards path blocks. I don't yet know if I'll make 100 of these blocks or some of these and some of something else - that is part of the 100 day journey. So far, I have stuck to the schedule and pieced one every day. Fingers crossed I can keep this up! Fabric is Alison Glass and various low volume for the background. 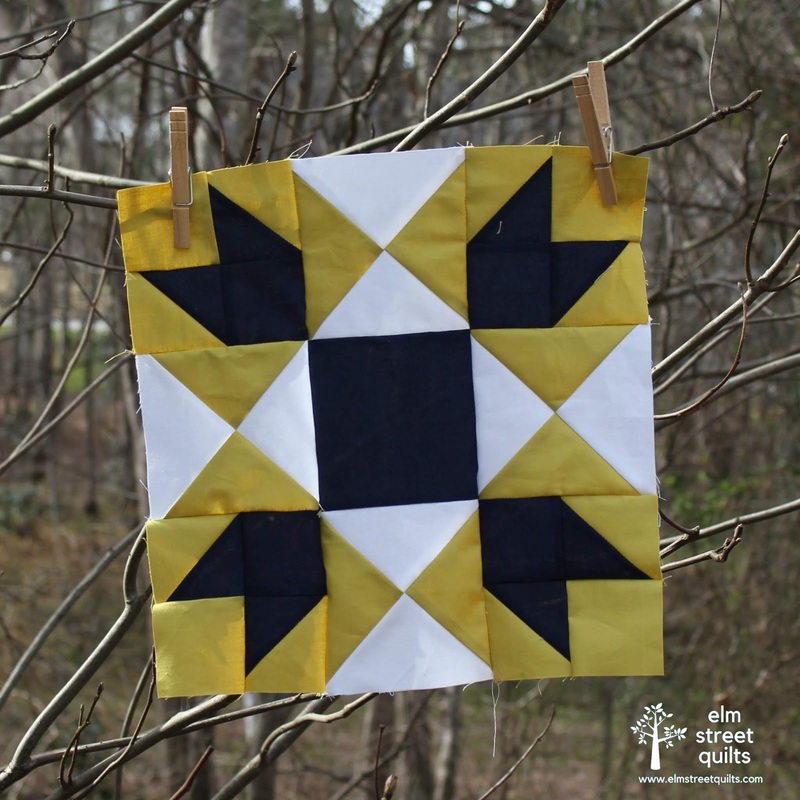 I've chosen to make baby quilts for the Jack's Basket - an organization that delivers baskets to families who are celebrating the birth of a new baby with Down syndrome. As a mom of a now 23 year old with Down syndrome, this organization really touched my heart. Quilts need to be done and mailed by May 31! I've already pulled fabric for a second quilt. 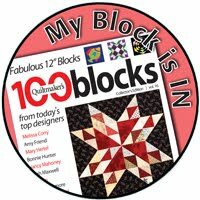 I made a second set of blocks along with all the lovely people participating in the Hand Pieced QAL. I am really loving the blue and white. With my center pieced, I'm auditioning settings in EQ7. The first two make use of the fabric I have on hand, the third one requires a fabric purchase! Option 1 - set the blocks with asymmetrical borders - this is a 5" on top and right and a 2" on the left and bottom. The quilt would finish roughly 27'' square. This second one is my least favorite. The quilt would finish about 24'' square - perhaps an option if I decide to make this a pillow. My third option (ignore the fact that the blocks are set differently) matches the on-point setting I used in my first version of the quilt. This quilt would measure 32'' square. While I play around with layouts, I've put my blocks up on my design wall - so fun to look at. It is also fun to look at the back side of my project. I love how easy it is to spin seams on hand pieced blocks! These blocks were seriously so much fun to do. Finished quilt top are popping up on are final grand prize link-up. Folks have to the end of April to get their quilt tops done! 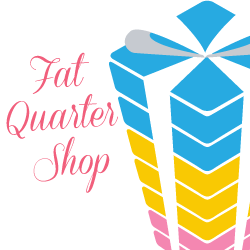 Fat Quarter Shop is revisiting Classic and Vintage blocks and trying to look at them in all new ways. Today, several bloggers are sharing their interpretation of the Union Square block. See more versions of this block on the Jolly Jaber. You can download the pdf pattern here and there is a youtube video tutorial as well! Make sure you check out the Union Square quilt kit too! Can you believe we are at the end of the QAL? It all began with the simple 4 patch. 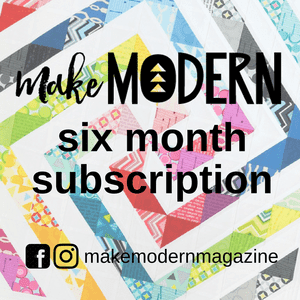 Now here we are, nine block patterns, dozens of tutorials, hundreds of hand pieced blocks and a continually growing Facebook community. Kristin and I have enjoyed every single minute! Every block, every stitch, every opportunity to share our love for hand piecing! 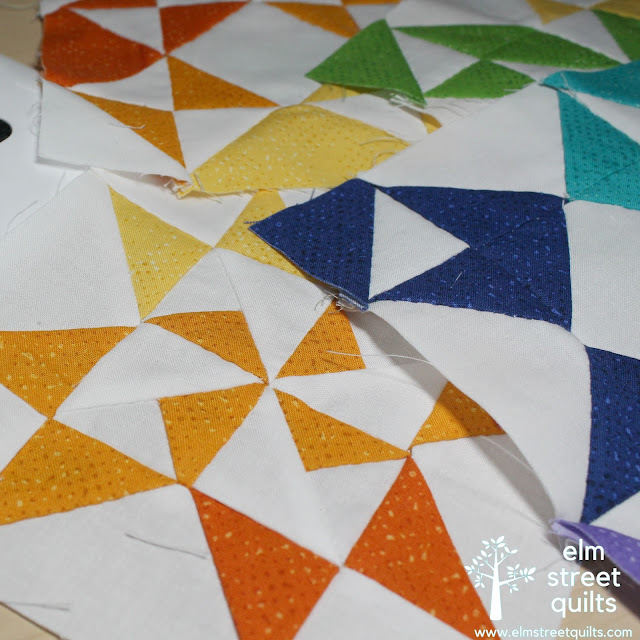 And for those of you asking what comes next, we have some ideas but give us some time to finish up this QAL first! Just getting started? You still have time to get caught up! All the information you need can be found here on the main event page. Share a photo of a completed quilt top (i.e. 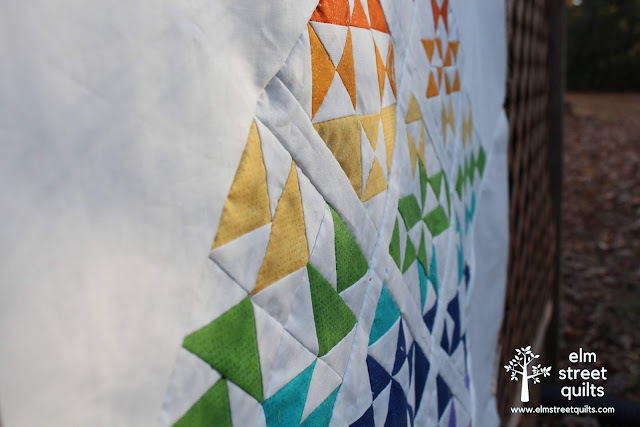 the flimsy) or a completed quilt in the link-up below or via email. All entries must be submitted by midnight April 30 ET / 9 pm April 30 PT. 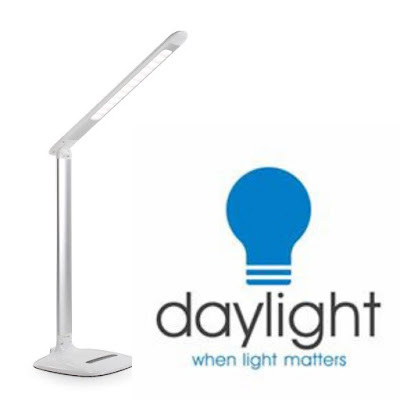 Winners will be chosen randomly and notified via email. Winners have 72 hours to claim their prize - if we don't hear back, we will draw another name. Once winners have claimed their prize, this post will be updated with the names of the winners. 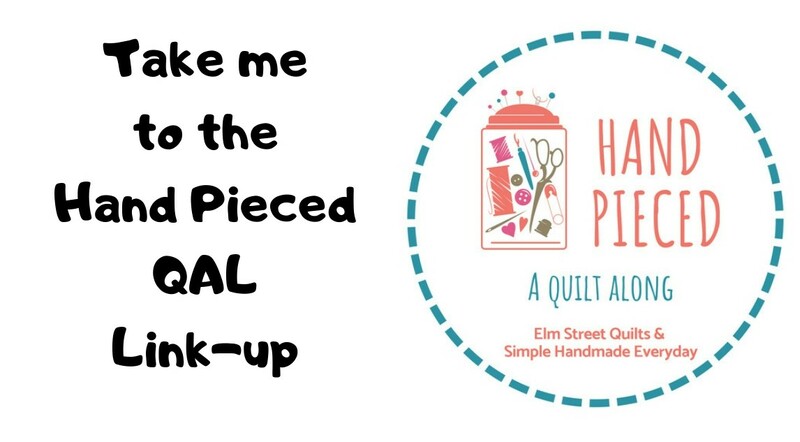 Photos can be shared from a blog, Flickr, or Pinterest and must include a link to Elm Street Quilts or Simple Handmade Everyday. Photos can also be shared via a public Instagram and must contain the tag #handpiecedqal. Don't have a way to share? You can also email them to handpiecedqal at gmail dot com. Please put the words GRAND PRIZE entry in the email subject line. Need instructions on how to link-up? See the tutorial! 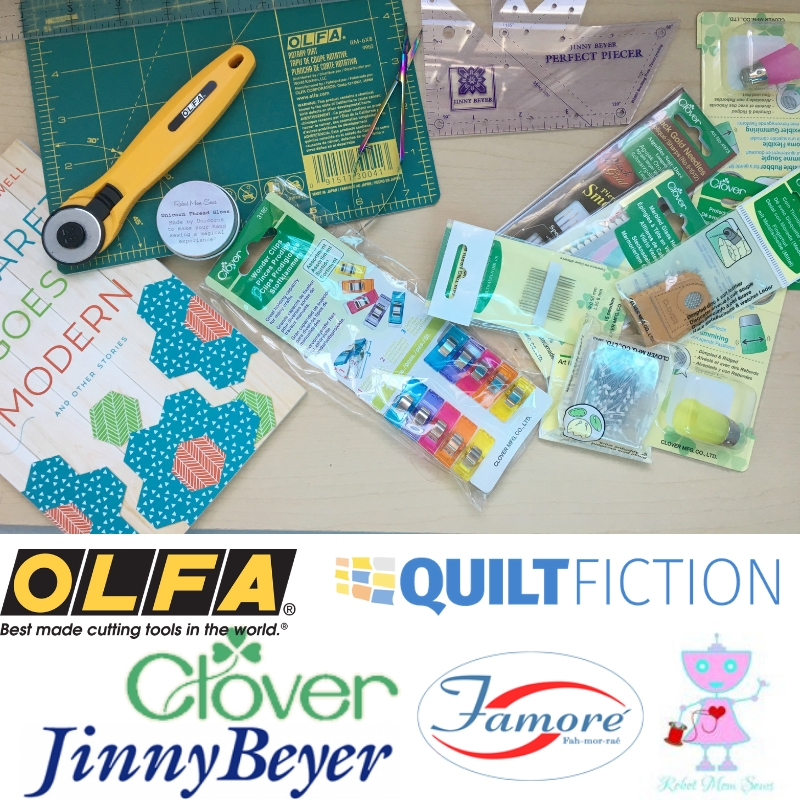 Quilts shared must follow the guidelines above to be eligible to win a prize. 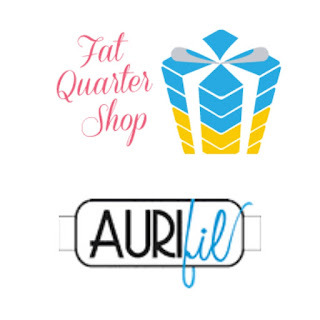 We have wonderful sponsors this month - three (3) winners will be randomly chosen from those that link up in both the goal and the finish event. 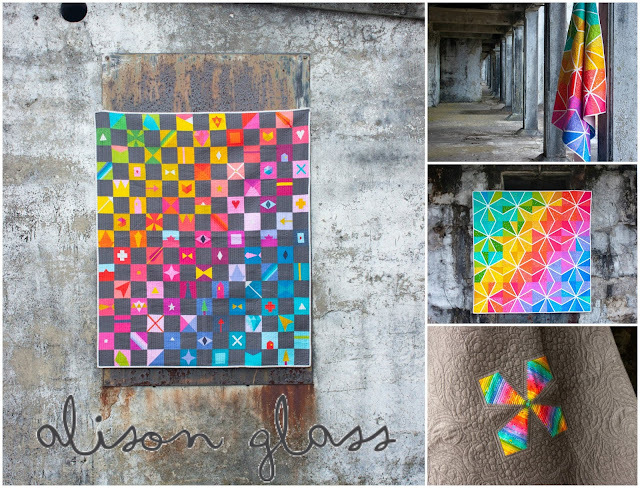 I am just thrilled to be featuring Alison Glass as our featured designer for April. 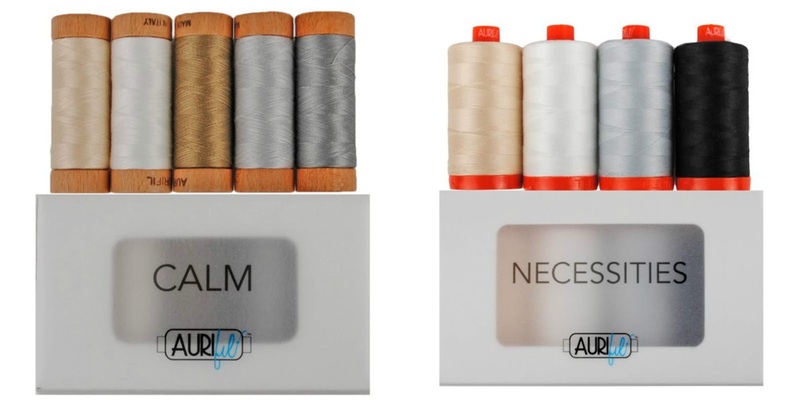 Alison is an award winning pattern and textile designer with a impressive portfolio of fabric, quilt patterns, and embroidery patterns. She also has notecards, stickers, enamel pins and more adorned with her delightful designs. 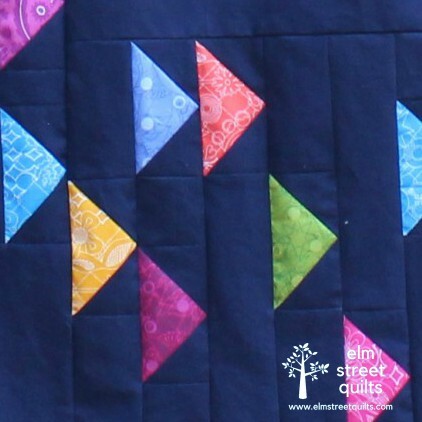 Alison is currently running a quilt-along for her latest quilt pattern - Trinket (shown below). Trinket has 40 foundation pieced blocks and the QAL sets the pace of one block per day with plenty of time to complete your quilt top. 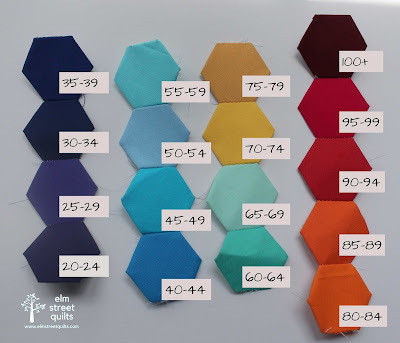 For more information about the pattern and the QAL, visit the main page or check out the #trinketsal to see all the amazing blocks shared so far. And, finally, the fabric! Alison's fabric lines are filled with deep, rich, wonderful saturated colors. While many of the prints read solid, they are actually covered with amazing illustrations of the world around us. Alison is offering several new lines in 2019, including her first holiday line called Holiday plus a collection of low volume prints called Sunprint Light. Alison is offering one lucky winner a 6 pattern bundle (pdf version) of her patterns Feather, Color Plus, Cobblestone, Cathedral, Tessellation and Neeedlebook. (see photo). 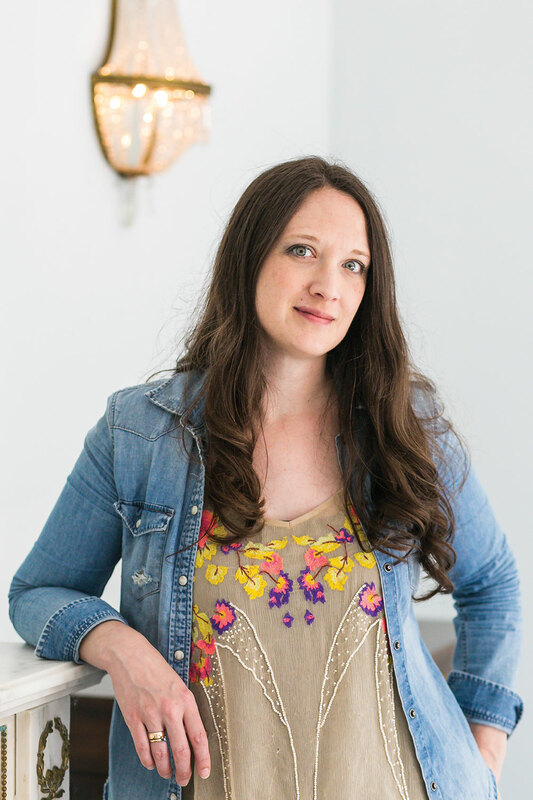 You can visit Alison on Instagram, on Facebook, and see more of her patterns , fabric and other merchandise in her shop. 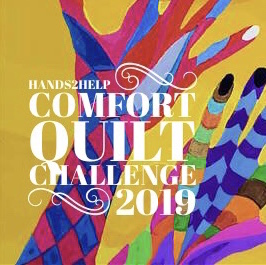 My goal for April is to finish a quilt which is a gift for someone special. Since I don't know whether they read my blog or not, I'm simply showing a small sneak peak. The geese fabric I'm using is designed by Alison! 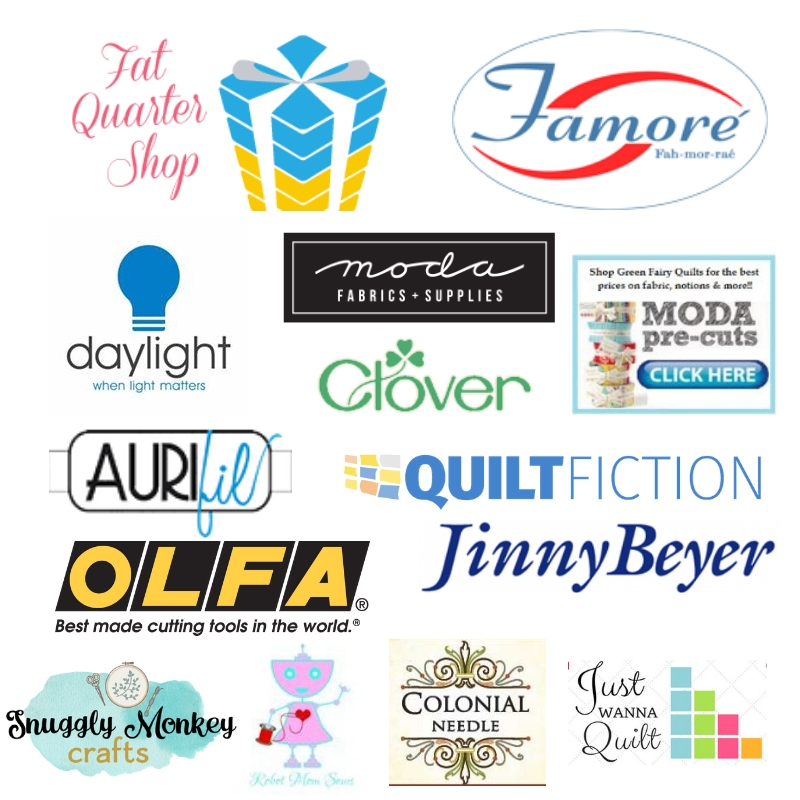 Elm Street Quilts One Monthly Goal April Link-up.